Every organization has its own guidelines and limitations for assistance — you’ll need to check with each to determine whether your circumstance fits within their guidelines. Cat in Crisis — The mission of Cats in Crisis to assist individuals who have exhausted all other financial means to provide the necessary medical care their cat needs. Due to the volume of applications, we cannot help everyone. Decisions are based on several factors including: medical urgency, available funding, eligibility and financial need. Our grants are typically in the amount of $150, but are determined on a case by case basis. We do offer the opportunity for caretakers to fundraise on our website as well. Payments made to veterinarians, pharmacies or animal welfare organizations; not individuals/caretakers. Read guidelines carefully (Apply for Financial Aid section); eligibility is very specific. Dreampower Animal Rescue’s Forever Home (Colorado) — A program provides assistance to pet guardians in need of assistance. The Feline Veterinary Emergency Assistance Program — headquartered in Yuba City, California, is a nonprofit 501(c)(3) organization that provides financial assistance to cat and kitten guardians who are unable to afford veterinary services to save their companions when life-threatening illness or injury strikes. Services are provided nationwide. Qualifications are very specific, so be sure to click on Funding Guidelines when visiting the site. The Feral Cat Coalition of Oregon — A trap-neuter-return (TNR) program for feral cats. FCCO’s mobile hospital no longer serves the Eugene area, but does serve some of the surrounding areas. The only cats eligible for the clinics are stray, feral, or abandoned cats who are not part of a human family, but are being fed consistently by a caregiver. To schedule cats for one of the clinics, FCCO must hear directly from the caregiver. FCCO is a 501(c)(3) nonprofit organization that relies entirely on donations. Must be able to raise $25 per cat plus $500 per clinic held, for FCCO. Florence Area Humane Society — A 501(c)(3) limited intake, “No Kill” animal welfare agency. As a private non-profit organization, we receive no public funds and our animal intake is limited to the Siuslaw and Mapleton School District boundaries. Our principal focus is the rescue, socialization, rehabilitation and placement of unwanted, abandoned, abused, or stray animals. We provide financial aid to our community’s senior and low income families who wish to spay or neuter their companion animal or who have medical emergencies for their pets. We promote public awareness of animal needs, educational materials, and speakers. LABMED — Founded in 1996, LABMED is an Internet-based non-profit organization created to distribute financial aid to injured or ill rescues around the country, giving them a second chance at adoption and love from a permanent family.LABMED will accept applications for assistance for rescued Labrador Retrievers or Labrador Retriever mixes from any group or organization or from any individual who is of legal age (18 years). The Magic Bullet Fund (Canine Cancer) — The Magic Bullet Fund provides financial assistance to pay for canine cancer treatments and medicines when the owners cannot. With our financial assistance, the canines we serve receive state-of-the-art veterinary cancer support for their conditions. The Fund’s mission is to provide cancer treatment for dogs whose caretakers are unable to provide treatment. These are dogs who would not have cancer treatment at all without our assistance. The Nantucket MSPCA (Massachusetts) — Offers a number of subsidy programs that provide financial assistance to pet guardians. Nike Animal Rescue Foundation (NARF) (San Francisco Bay Area cities) — Has many hospitals and clinics who offer reduced rates and/or the ability for you to pay your veterinary bills on a monthly basis. NY SAVE, Inc. — Serves the pets of New York City residents living in Manhattan, Brooklyn, the Bronx, Queens, and Staten Island by providing funds to low-income pet guardians whose pets need emergency veterinary care. Pet Samaritan Fund (Utah) — Provides financial assistance to individuals unable to afford medical care for their pet(s). Pets Are Wonderful Support (PAWS) — Assistance for comprehensive needs of companion animals for low-income persons with HIV/AIDS and other disabling illnesses, as well as senior citizens. Spay/USA — a program of The Pet Savers Foundation, is a nationwide network and referral service for affordable spay/neuter services. Our mission is to work together to end pet overpopulation. We have affordable spay/neuter programs and clinics in 1000 locations nationwide with about 7,000 top-notch veterinarians in the network as of 2005. Our goal is to make spay/neuter services affordable to those who might not otherwise spay/neuter their pets. By working together, we hope to popularize and facilitate spay/neuter services throughout the country. 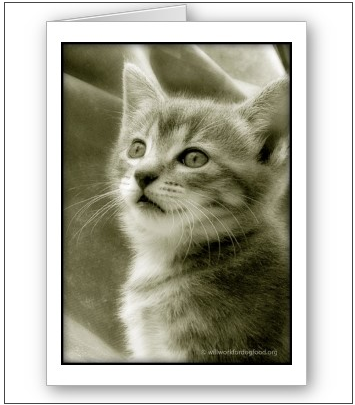 Sue Freeman¹s Guide to Rescue Cats — This Web site contains a list of pet financial-assistance resources in Los Angeles and the surrounding area. United Animal Nations (UAN), LifeLine Grant Program — The LifeLine Grant Program provides funding to Good Samaritans, animal rescuers, non-profit organizations and pet owners to help them care for animals in life-threatening situations. Volunteer Services For Animals (VSA) (Rhode Island) — An organization of volunteers dedicated to animal well-being and the promotion of the human-animal bond through programs of education, advocacy, and assistance. VSA provides financial assistance to pet guardians for veterinary care. If you know of others, please leave a comment so we can add it. I have an 11-year-old dachshund that has his 4 canine teeth. One has started to grow downward somehow. He can’t pick up food with his mouth and when he does manage to it is with great difficulty.He has very bad breath and build up on his teeth. I am sure he has a bacterial infection in his mouth. I can not afford a vet right now as I am on social security disability. I live in Las Vegas Nevada, is there anyone that can help with the vet bills? Thank you for your time. I’m sorry, I don’t understand the downward growth you are referring to. The problem with the build up on his teeth is that the bacteria can affect other organs, like kidneys, because he swallows it. Have you contacted area vets to see if they can help at a reduced rate? You could also ask local rescue groups for tips. They are always looking to save money. In this article, they talk about treating tooth accesses with Amoxicillin. Here’s more info about Amoxicillin for use in dogs. They sell Amoxicillin for fish over the counter where fish and fish supplies are sold. It’s also available online. It’s called Fish Mox. It comes in two strengths. I have used this product for my dogs. Read the precautions and dosages carefully. It will not completely fix your problem as your pup may need to have that tooth removed, but perhaps it will buy you some time to locate a better solution. This is a temporary solution and your pup should not be medicated for longer than the recommended time. A vet may even guide you in the short term, but they may require a visit to fully assess the situation. Has the vet told you exactly what the lump is? The diagnosis will help you find the best help. Here is a list of organizations that may be able to help you. It includes a lot of different categories of help, so read through the list and contact those that can help under your circumstances. Also contact your local rescue groups and humane society for recommendations. They know your area resources best. I have a friend who lives in a low income community who is looking for an organization that have wheelchair for dogs. Her Pekingnese has had problems with walking for the past few years…a dog attacked her dog when she was walking her dog. She could not afford surgery as the other party did not offer any monetary help. Lately, the dog has had problems with her hind legs and can’t walk and was told she needed to buy a doggy wheelchair…she could not find any local organization including the local humane society with this. Is there an organization in Marin County, California who can help her with either a lower cost wheelchair or even a used one? She’s on a fixed income and really cannot afford even $150.00 which one place quoted her. Thank you in advance for any guidance. Here’s an article that lists groups that can help you get a donated/free wheelchair for your friend’s dog. I hope this will help her. This page has an illustration that shows how to measure your dog for a wheelchair, if needed. Good luck! I hope this gets her mobile again. I am looking for a low cost/assistance vet for a senior citizen who took in a rescue dog in the Las Vegas/Henderson NV area. Any suggestions will be appreciated!!! A quick thought is to contact local pet rescue groups for input as they always search for the same thing. They have done the research and may be able to point you in the right direction. Especially since this woman adopted a rescue. Let me check around and see if we can find someone to help your Mom. Have you checked with your local rescue groups and even your local shelter for suggestions? I am facing all the concerns – as all of the people that have commented. Took on the task of having a colony of feral cats spayed/neut. this summer. One more to go. Some have left the area. Two of the kittens, I’ve raised. My concerns are WINTER & future vet. needs for them. Don’t have the means to help them. Not finding any place that will help. Can you suggest any places in the Raleigh, NC area? I have limited mobility/health issues so it’s difficult all the way around. They are not adoptable. I would appreciate any suggestions for help. Are you on Facebook? If so, here is a list of cat rescues in North Carolina with Facebook pages. There is one specifically for Raleigh and maybe some of the others are nearby. Also on the list is a group called Coastal Carolina Feral Cats TNR & Rescue that may be able to offer suggestions or help. Same for Cat Ranch Rescue. Maybe neither of these is near you, but they might be able to offer you some ideas because they are closer to you than I am. I live in the state of Missouri and my mother is a senior citizen with several rescue animals (cats, dogs, birds). She is having a very hard time paying get vetrinary bills. I was looking for a program that might be able to assist her, as I’ve been told by a few people that such programs exist. I have been looking online but am not finding any resources in our state. Any help, even a nudge in the right direction, would be greatly appreciated. Thank you in advance!!! Sometimes it’s a bit like looking for a needle in a haystack, but keep looking. Check with your local vets to see if they offer a senior citizen discount. Sometimes it is not advertised. Some vets offer a discount for people with multiple pets, however, I rarely see that exceed 10% these days. Check with your local animal shelter. Some offer vet services at a reduced rate. Also call rescue groups in your area and ask them if they have any suggestions. Ask everyone who says they don’t if they can suggest someone who can help. It will help if you can be specific on the help you need. Do the pets need checkups? Or meds? Vaccinations? Or other care? Good luck! I am asking for help for a friend who lives in Murfreesboro, Tennessee. Is there any Veterinary Hospital in her area who offers low cost pet care to senior citizens? Has your friend checked with some of her local veterinary clinics to see if they offer financial discounts to seniors? Sometimes they do, though it may be only 10-15%. Check with the local SPCA. You might also check with some of the rescue groups in her area as they would know more about they vets in the area than almost anyone. Depending on her need, there is also the Brown Dog Foundation — dedicated to helping Tennessee families who find themselves in a temporary financial crisis at the same time their pet requires life-saving treatment or life-sustaining medications. I am a senior citizen on a low fixed income. I have 3 cats that I love dearly. They are my only family, etc. Nicholas is 11, Sundance is 9, and James Dean is 3. At this moment Nicholas is having trouble he either has a bad upper respiratory or something else. 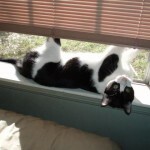 I cannot locate any vet in my area that will take him to help him and be low cost. I desperately need help for Nicholas now. Is there anyone that know anywhere I can get him help/assistance? Please? What are the symptoms you are seeing with Nicholas? Common symptoms of an upper respiratory infection in cats are sniffling, sneezing, clear to pus-like discharge from the eyes and/or nose, coughing and lethargy. As the nose becomes involved, they can lose their sense of smell and without that, they may not eat, so it’s important to have some strong smelling cat food available. How are Sundance and James Dean doing? Any signs that they may be having any problems? Have you called area vets and asked if they offer a senior citizen discount? How about your local humane society? Sometimes they offer discount vet assistance. You are kind to help her. What is the matter with the cat? What are the symptoms? The best suggestion I have is to call all the rescue groups in your area — even the humane society — and ask them if they can provide financial assistance for a senior citizen’s cat. Vets sometimes can help, too. If they can not help, ask them for a recommendation. There is a group on Facebook that states that they provide emergency pet care for needy families. Check with them: (252) 457-0011. Their website says they offer discounted services to senior citizens. You might also check with local rescue groups for their suggestions and even call vets close to you to see if they offer a discount to seniors. Sometimes they will if you ask. What did the vet say the matter is with your little pom? What else did they want to do that would take your bill from $104 to $626? What meds did they send you home with? There is financial assistance available. It will take some time and effort to track it down, but just work your way through the list of groups that offer assistance on the following two links. There may be some groups listed on both links, but there is sure to be someone who can help you and your babies. My mother is 75, recently retired due to breast cancer that has metastasized, and has just found out that her Shi-Poo has Cushings Disease. She is concerned about the cost of medication that her dog will need to take daily. She is on a very tight budget and would undoubtedly go without in order to provide for her dog. Are there any services that could provide some sort of discount for the medication that her dog needs? Please let me know. Thank you for your time. What is the medication your vet has prescribed and where is she located? Have you asked the vet for suggestions? Some drug companies will offer a discount. Also, is this a medication that might be carried by Walmart under their $4 plan? I am so sorry to hear of your mother’s situation. We are wishing all of you the best. I live in Martinsburg, WV. I am a disabled senior with my little dog, Jackson. He has been a little sick lately and the vets around here DO NOT CARE! It’s all about the BOTTOM LINE! One person at one vet said “Oh well” when I told her my dog could be dead by next Friday when I will have the money to bring him in! With the exception of one female vet, the doctors are fairly nice and reasonable. It is the office staff who are so nasty and cold! I’m sorry but we do not provide financial assistance. Have you called any of the organizations in your area? Or add a post to Facebook asking for help. Maybe do a fund me page? Isak, thank you so much for your referral! Postponed my surgery until 2/15/15 because I didn’t have anyone to take my pets, and the moving wasn’t finished. God bless you and your organization! They just contacted me this morning about you. I will send them this message. Please keep in touch with them and maybe keep them in the loop on your schedule so they can save your babies some space in the future. They sound like WONDERFUL people! Let me pass the word along to others and let’s see if we can get you some help. Good luck to you. I have removed your phone number for now as hopefully Lisa from Hospets in Marysville has contacted you. I reached out on Facebook to a wonderful animal control officer named Shannon O’Herron who does a LOT to rescue animals in need in her area. She is located in Akron. She connected me with Lisa at Hospets. I gave Lisa your phone number. Best to you and your babies! I would like a service for senior with pets. My dog is old (15yrs old) in Chatsworth California 91311. You can contact the following groups to see if they will help you or perhaps, they can recommend someone who will. Because they are in your area, their resources are more up-to-date than what we might have. Some may not be close by, but they may know options to help you. Best to you both! Provides phone service Monday – Friday: education about spaying and neutering of cats and dogs, referrals to excellent, but lower cost veterinarian and when need is shown, financial assistance for alteration. I am a senior citizen with very little income. I have a minuature schnauzer that I adopted 5 years ago that is now diabetic. The diabetes is affecting his sight–I beleive he has cateracts and cannot see. I have no money to take him to a specialist to find out if there is anything that can be done to save his sight. If you can help or suggest an organization that could help my dog–I would be enternally grateful. Can you give me an idea of where you are physically located so we can see what is available in your general area? Do you currently have a vet? tried to access Bearen Foundation e-mail – nothing happened – do you have an address – phone number or e-mail that works? Maybe this foundation no longer exists. I’m sorry I haven’t gotten back to you. This is the info I have, but I see their website isn’t there anymore, so maybe they have closed shop. If you call and don’t get through, will you let me know? Thank you. 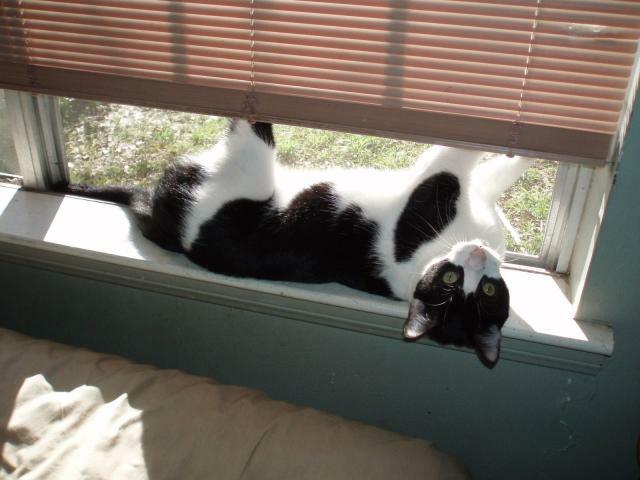 Our cat, Ollie needs blood work and meds for his detached retina in his eyes, that cost approximately $250, our Vet says. We live on a fixed income of Social Security and unable to afford this. We have had Ollie for 16yrs, and he has always been healthy until now. We had a $52 Credit on account with the Vet, that’s how we found the diagnosis. The Vet says there is a possiblity Ollie will get his eyesight restored. Otherwise we need $60 to put Ollie ‘down’ – very tearful, but we have to do whatever we can. The City of Corona Animal Shelter does this every Wednesday, and we don’t have the $60. Thank you for your time. I have a puppy that belonged to my nephew, he lost interest in the puppy. I love him but I can not afford to get his shot and he has a slight skin problem. His name is Onyx and he is so sweet and smart. Where can I get assistance for just this basic care? Did you search online for “low cost vet assistance” and your town or area? I would like to know if you can recommend a vet or organization to help me out with two stray dogs. I want to have them checked. One needs to be fixed. They are good dogs, but I can’t afford to take them to the vet for shorts, etc. I am a senior citizen and I want to care for these two dogs, but I do not know how. Do you have any suggestions.? How kind of you to take care of these dogs. Where are you located? My first suggestion would be to contact local rescue groups. They will have the best knowledge of low cost spay/neuter and can guide you. Be sure to ask them if there are local programs for senior citizens.